Once school starts, I am ready for fall. Bring on the warm days and cool nights, the changing of leaves and all things pumpkin! If my family isn't home together enjoying summer break, let's move on to the next best thing- FALL! Mr. Sweet Silly Sara had to return to work to get the school library set up and ready for the students on Monday. Rolf has another week before he is officially in school. We are trying to make the most of these lazy end of summer days together. Yesterday morning, the kids and I were restless. It was cool outside and the grass was very wet with dew, so we decided to savor the time and let the sunshine do its thing to warm the day up and dry the grass before we headed out to play. To make the waiting more enjoyable we decided to get crafty and make this great tree silhouette placemat. This was so easy to make and my son did a great job on his! I knew I had to share this with you guys! To make a placemat with your kids, you will need to gather a few basic supplies and then let your creativity flow. 2 pieces of transparent contact paper, cut to 5" wide and 8" long sections. Assorted construction paper in the colors of your choice. We used black, pink, purple and blue. 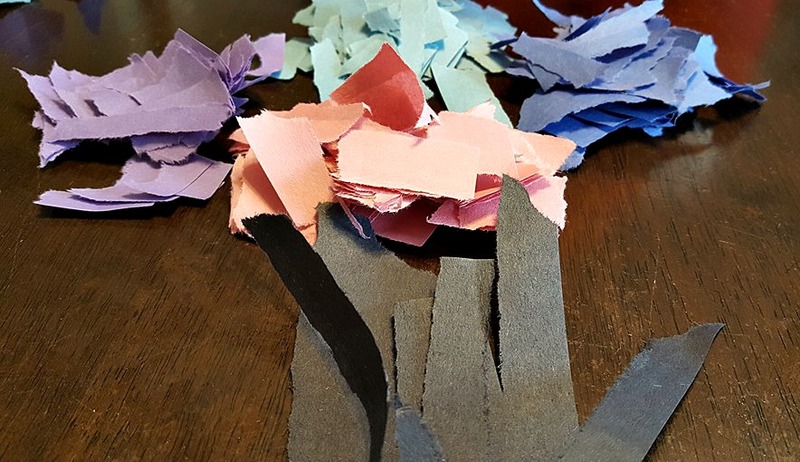 Begin by having the kids tear up the construction paper into small squares and strips. Keep the colors separated for easy application of colors. 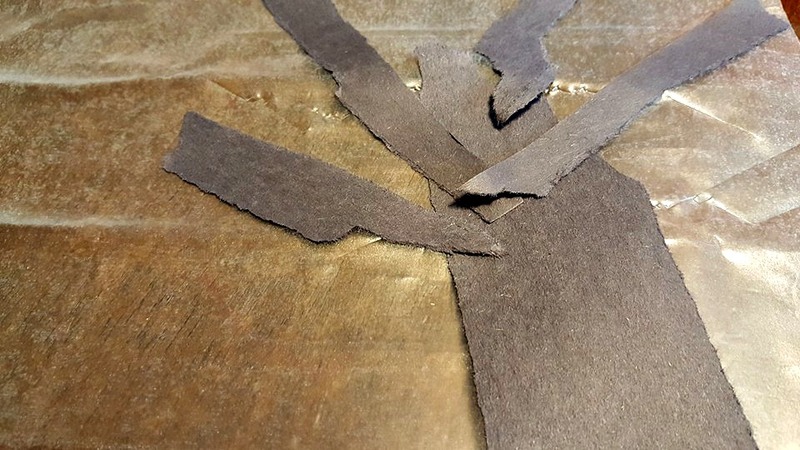 Next, you will want to carefully peel the back off of one section of contact paper. Lay it sticky side up. 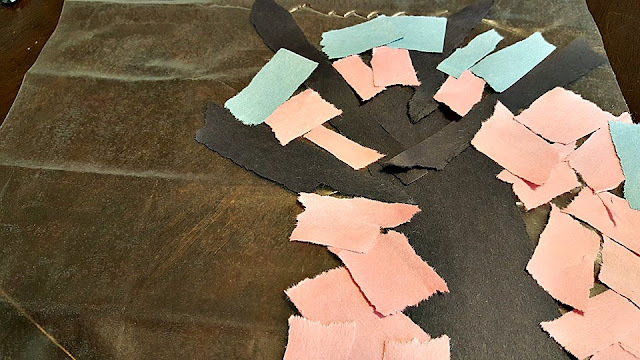 With a few strips of black paper, make the outline of the tree. 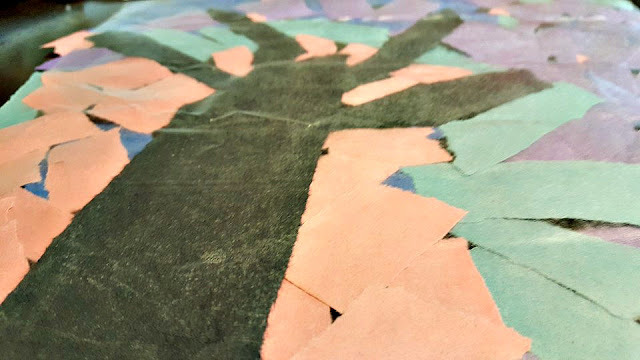 Next, begin applying more strips of paper around the tree. 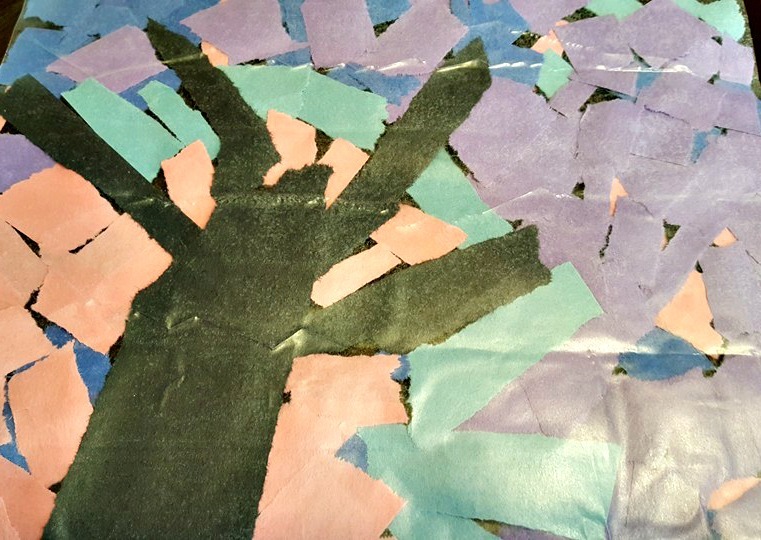 We made our tree placemat to look like the sun was setting, with the colors we often see in the evening sky. 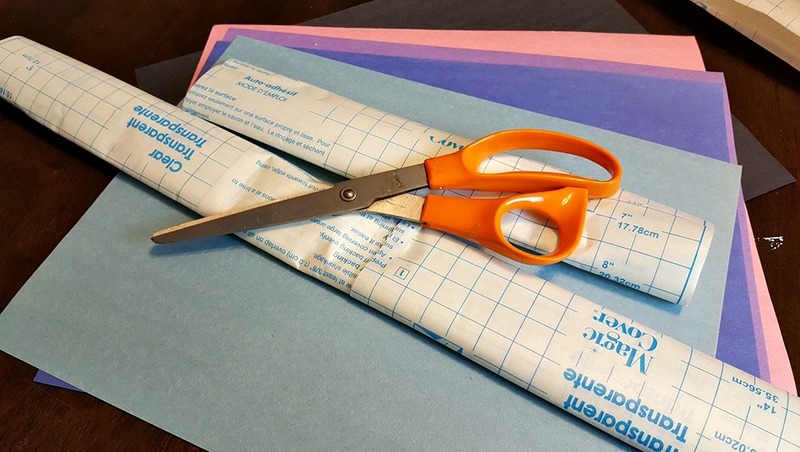 Continue to stick your strips of construction paper to the sticky side of the contact paper. 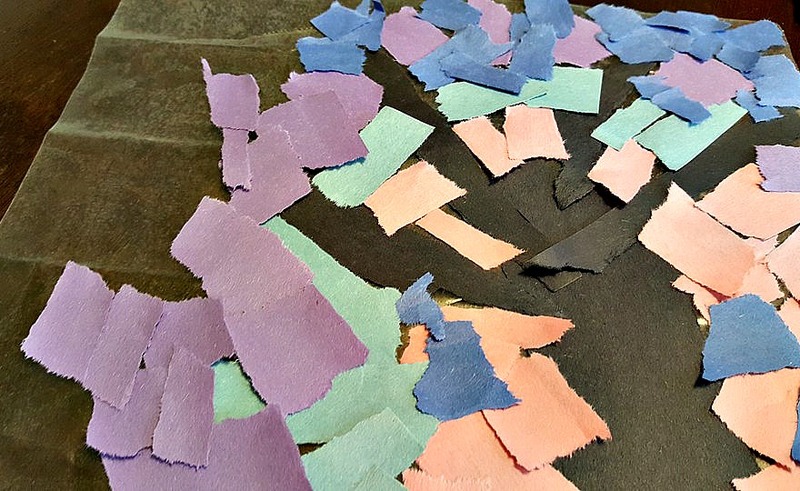 After you have filled in all of the blank space on the contact paper, peel the backing off of the other section of contact paper. Only expose a small strip! This will make it so much easier to line up. Then you have an easy to wipe off and very handy placemat for your little ones! My son loved that he MADE this place mat. It was so much more important to him than the ones we have that came from a store! I loved how it turned out! It is such a lovely work of art! This project is great because it is affordable to make. You could make 6 or 7 of these at least for a mere $2 if you buy your supplies at Dollar Tree. It is also a great way to get your kids using fine motor skills. They will develop the small muscles of the hand with the action of tearing paper. This later plays into handwriting skills among other things. Asides from that huge benefit, making place mats with your kids offers them the chance to express their creativity and make something they can use and admire and feel proud of! You might also enjoy this Lemonade Craft idea!